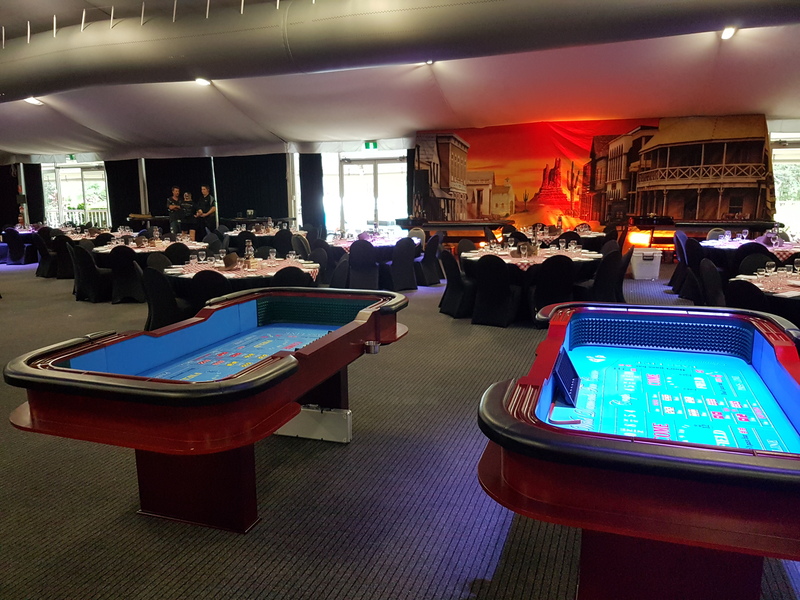 Craps tables are now available at Brisbane Fun Casino and Wild Diamonds Fun Casino. We are pleased to announce that we will be making some improvements to our business in 2017. Our first addition to our services for the year is the purchase of 2 Craps tables. Specially designed to meet the needs of the ever growing Fun Casino Market, we have introduced 2 craps tables that can each accommodate up to 12 players comfortably using only 1 dealer. Please go to the How to play Craps page for some instructions and more detail. We are planning to add more games and variations of current games throughout the year. Please ask us if you want a game that we don’t currently advertise. We may be able to organise it for you. Our focus is on you, our customer and your requirements. Tagged: craps, craps table, dice.